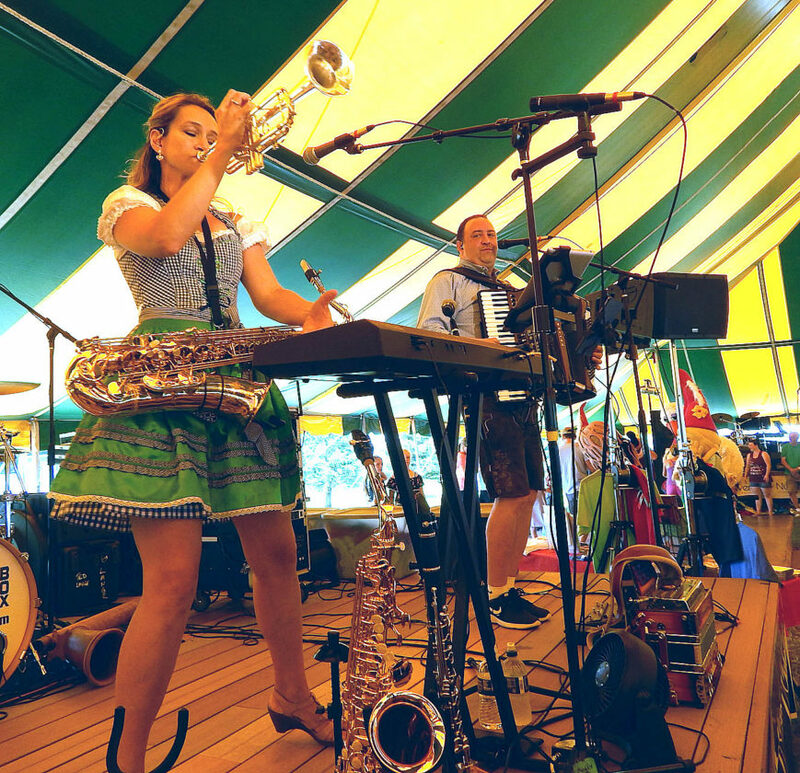 Squeezebox with Mollie B. performs in the Schell’s Tent at Bavarian Blast on Saturday. Staff photo by Fritz Busch New Ulm dairy farmer Allen Dauer wins the Bavarian Blast Stein Holding Contest for the third time July 21. He held a large stein of beer for six minutes, ten seconds. Bradley Haussman of Cloquet finished second. contestants chow down in the Sauerkraut Eating Contest. At center is Emilee Traxler, (center) of New Prague and at right is Ashley Russ of Jordan. The person at left is unidentified. 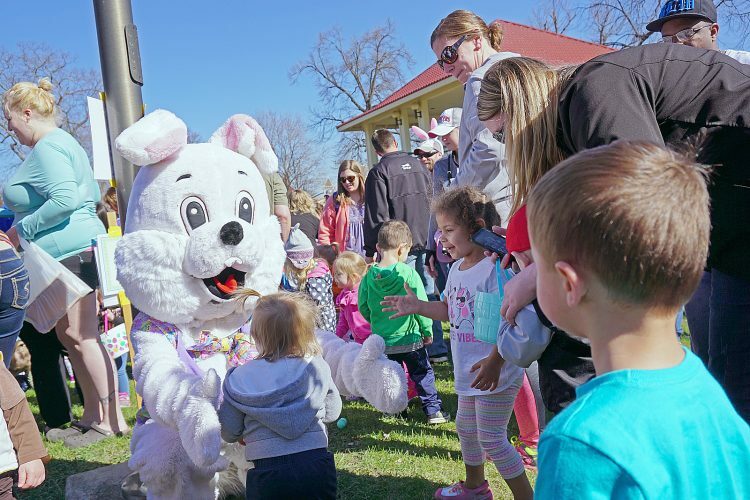 NEW ULM — Sunny, mild but not too hot weather graced Bavarian Blast goers at the Brown County Fairgrounds Saturday. As it always does, the event draws people from near and far. Joni Watts of Las Vegas, Nev. and her friend Shari Novack of Anoka, both have New Ulm roots. “It’s fun seeing family and friends,” Watts said. Jane Wilhelm of Deephaven said she enjoys the music, dancing, food and beautiful grounds. Sara (Wyczawski) Stenhaug of Rochester and her father Carl “Red,” Wyczawski listened to Mollie B. and Squeezebox with a large crowd under the Schell’s tent. 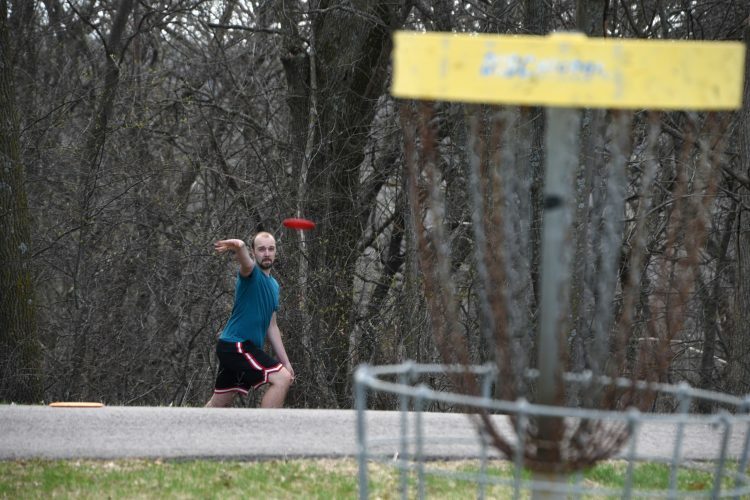 Marlo Vandal of Fairmont said he enjoys the atmosphere, the music and sitting under a tree, drinking a beer. For the third straight year, Team Leo of New Ulm won the dog race. “Leo,” a dachshund, is owned by Norman and Lisa Grathwohl of New Ulm. They admitted they didn’t overtrain their dog for the race. “We got him off the couch last night to train for it,” Lisa said. Beer barrel racing was one of the more hotly contested events. The German Beer Drinking Team of Matt Wermerskirchen and Mike Gerdes of Jordan were upset in the championship round by The Koll Team of Jakin and Connor Koll, age 10, of Rice, Mn. “It was a lot of fun,” said Jakin Koll after his first barrel racing competition. Wermerskirchen and Gerdes, who have competed in barrel racing here since 2012 were humble in defeat. “They (The Koll Team) were great. 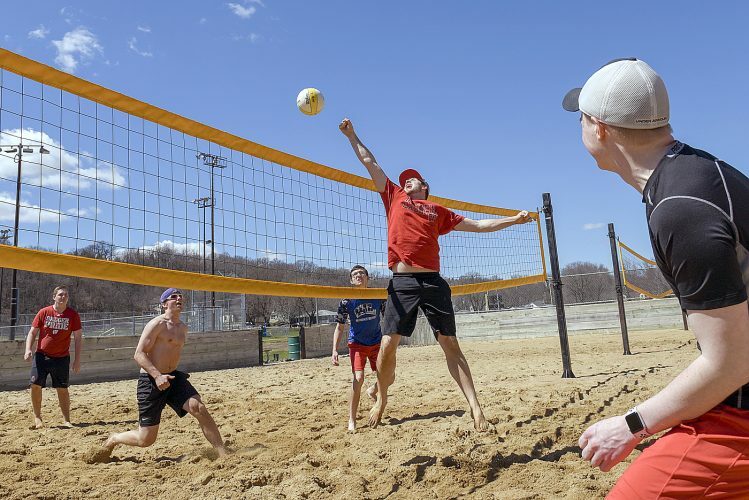 It’s always fun to have friendly competition,” Gerdes said. Wermerskirchen said he and Gerdes have been coming to Bavarian Blast since 2009, before they were age 21. “We brought 17 people from Jordan here,” Wermerskirchen said. 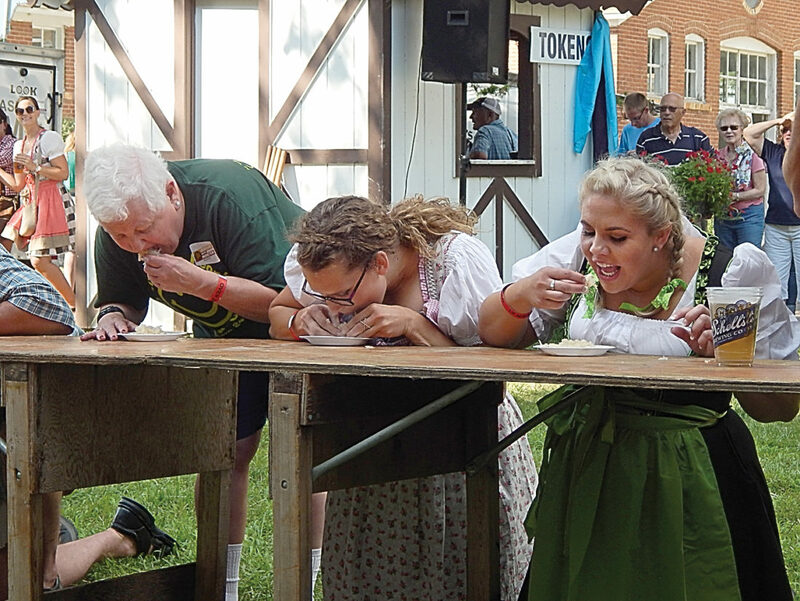 Women dominated the sauerkraut eating contest. Amy Arndt of White Bear Lake edged Mary Jane Glawe for first place. The women downed 16 ounces of sauerkraut in just a few seconds. Gene Buhr of Albert Lea finished third among 25 contestants. 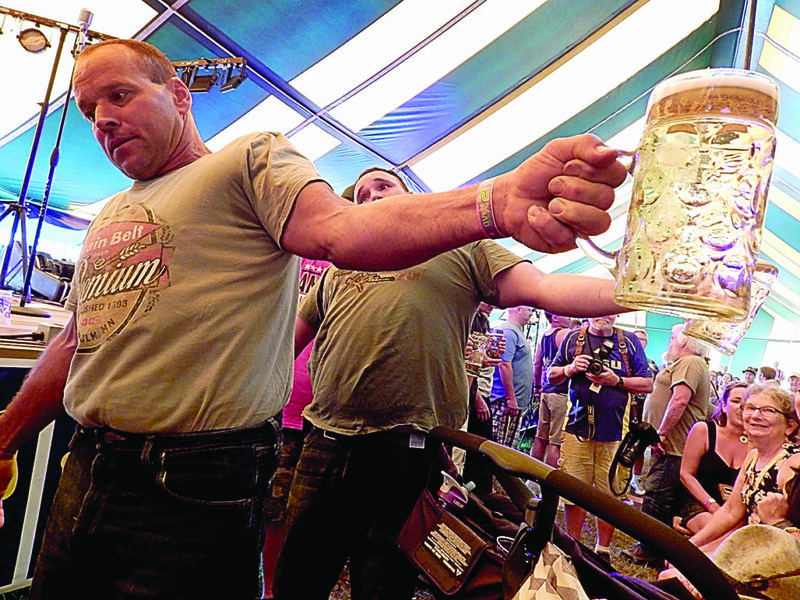 New Ulm dairy farmer Allen Dauer won the steinholding contest for the third time, holding a large stein full of beer for six minutes, ten seconds. Cloquet plumber Bradley Haussman finished second. How did he get in shape to do it? 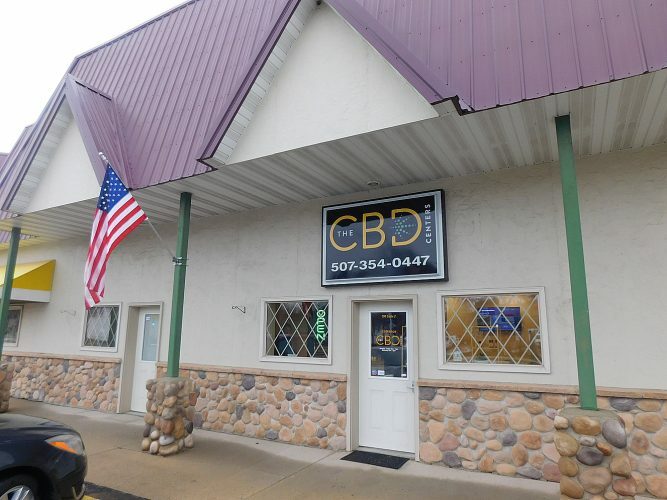 “Milking cows,” Dauer said. He’s been doing that for four decades. Michelle Winter of New Ulm won the women’s steinholding contest. Emilee Traxler of New Prague was second and Nancy Dauer of New Ulm was third. On Sunday, The Farm-City Hub Club breakfast starts at 8 a.m. The Original German Ban plays from 8:30 to 10 a.m. in the Schell’s Tent. A polka service with Mollie B. and Squeezebox takes place from 10 to 11 a.m. 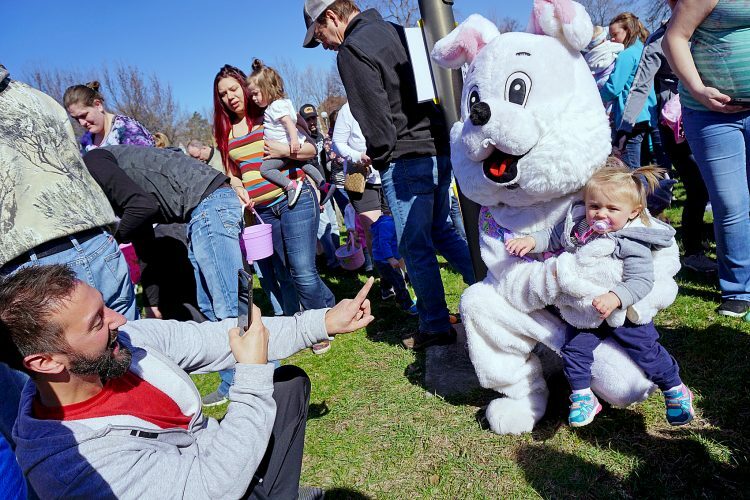 The Bavarian Blast Parade follows from 12:30 to 2 p.m. Other Schell’s Tent music includes Schell’s Hobo Band from 2 to 3 p.m., Alpensterne from 3 to 4 p.m., Alex Meixner 4 to 5 p.m., the Concord Singers 5 to 6 p.m. and New Odyssey 6 to 7:30 p.m. In the KNUJ Polka Hall, Larry Olsen performs from 11 a.m. to 12:30 p.m., The Bockfest Boys from 2 to 3:30 p.m., Larry Olsen 3:30 to 5 p.m. and The Bockfest Boys 5 to 6:30 p.m.